A refreshing drink with tropical flavors of cardamom and pineapple is given an energy protein boost from the peanut butter. Cardamom not only adds a subtle spice, but has its own health benefits of preventing illnesses, improving digestion and detoxing the body. Process all ingredients in a blender. If too thick, add a little juice. Enjoy! 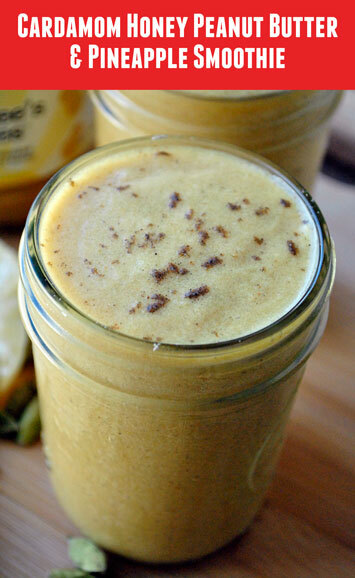 The post Cardamom Honey Peanut Butter & Pineapple Smoothie appeared first on - Peanut Butter & Co. Recipe Blog.